The water in Alaska Fairbanks is not very great, to begin with. Due to high amount certain chemicals. The University of Alaska Fairbanks released a series of emails to students and faculty talking about how the tap water had an abnormal amount of Trihalomethanes (TTHM). TTHM are four volatile organic chemicals which form when disinfectants react with natural organic matter in the water. People who drink water containing trihalomethanes in excess of the MCL over many years may experience problems with their liver, kidneys, or central nervous system, and may have an increased risk of getting cancer. This is not the only abnormal amount of chemicals found in the Fairbanks tap water. High amounts of certain metals have been identified in the water along with certain chemicals accosted with the military improperly disposing of harmful toxins in the past. Needless to say, people normally filter their water in Fairbanks. 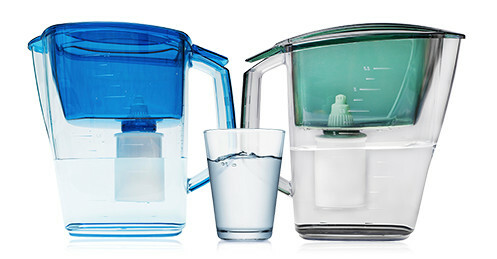 Because of this, I own two water pitchers to feel better about drinking the tap water. While I was taking a drink of water, I suddenly realized how useful the water pitcher would be if I ever was is in a disaster event that cut the clean water supply to me. I could simply use the pitchers to clean water of dirty and up to fine-grained particles and metals. I would make sure to still boil the water if I could because I am not sure the filter in the pitcher would get rid of microscopic threats. However, if worse comes to worse, I will at least have mostly clean water to drink till a recovery plan is made. I think this post was great! By changing your plan by adding more supplies to your emergency food is great. Everyone needs to check their pantry’s and do the same thing you did!